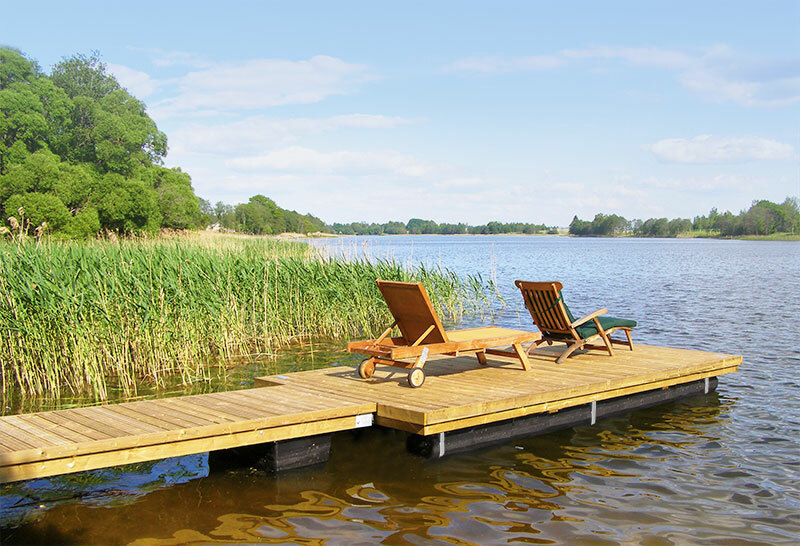 Always popular, especially with smaller marinas in sheltered waters, the Marinetek System Pontoon range is more than just a traditional choice – it’s surprisingly versatile, easily customised, light to transport, simple to install and extremely cost effective. These timber Pontoons are offered in different versions for boat moorings, swimming pontoons and general purpose use. Systems with concrete ﬂoats are assembled using prefabricated timber-framed deck elements to create a continuous rigid structure. 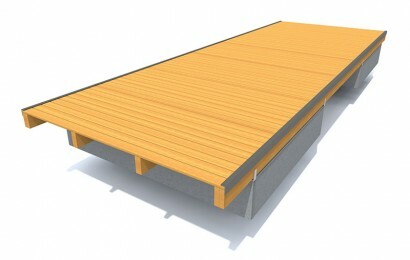 The new concrete floats are available in two sizes and have been designed to meet the latest norms. 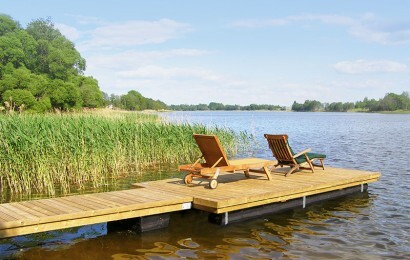 Pontoons with plastic tubes also use prefabricated elements and are connected by ﬂexible rubber bolt joints. The different optional plastic tubes offer varied freeboard options. 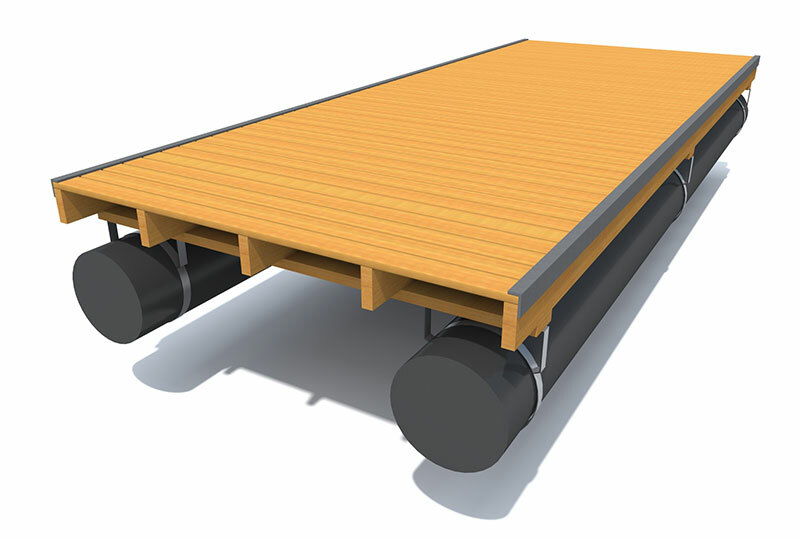 Different ﬂoat options and frame constructions and a choice of pontoon mooring methods – chain, pile or Seaﬂex – provide considerable options to meet many different needs and budgets. As for all Marinetek systems, further customisation is also available.